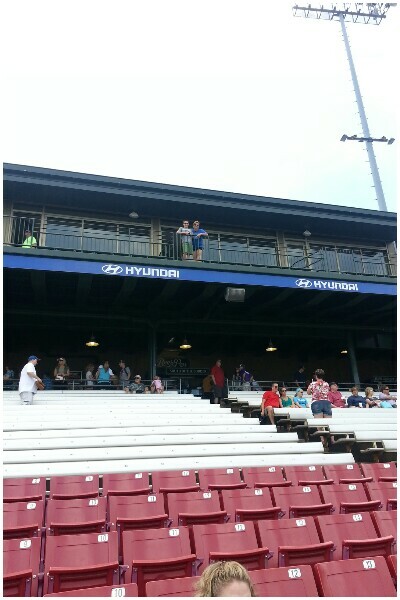 For Father's Day this year we had a skybox at 5th Third Bank ballpark for a Kane County Cougars game. It was a total blast. 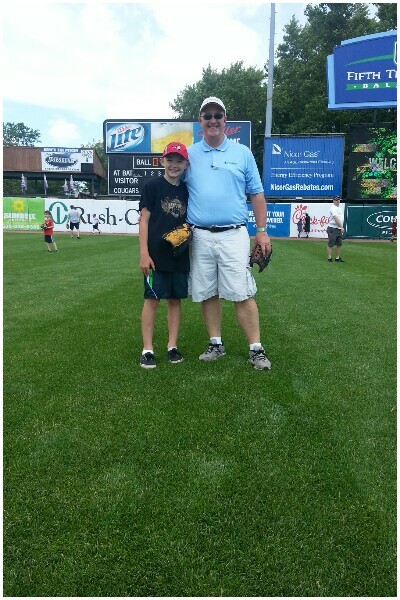 Me and the boys, Bailey and Cody, got to play catch in the outfield before the game, which was pretty cool. We got there early and the outfield was pretty open. Closer to game time, it got pretty crowded with lots of dads and kids throwing baseballe around so we left before we got hit in the head. Here is the skybox we had. Some good friends got to join us. Ozzie the Cougar came by the skybox to visit with the kids. 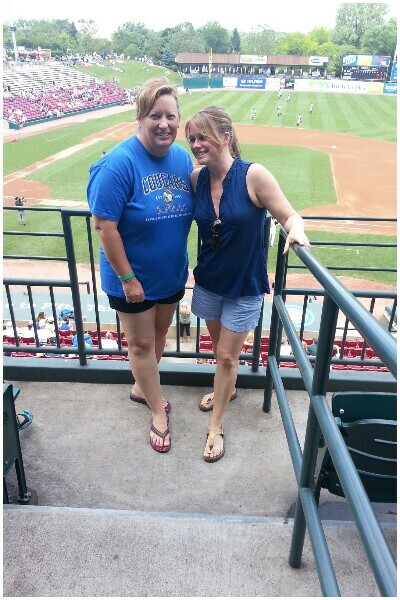 It was a lot of fun, a great day at the ball park and the skybox was a really cool treat.